Mom Has Dementia But Wants to Stay at Home – Now What? Dementia is a term that defines chronic forgetfulness, mental lapses, confusion, and memory loss that worsens over time. 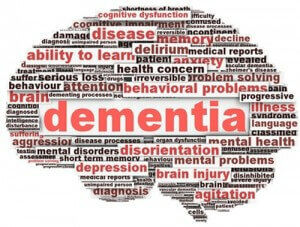 There are many forms of dementia, including Alzheimer’s, the most commonly known. 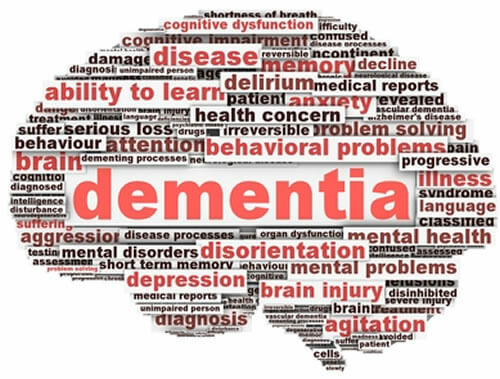 Symptoms of dementia include gradual decline in memory as well as intellectual function. The completion of physical tasks, impaired judgment, and difficulty with language are common. However, sudden changes in mental capabilities are not typical of dementia. Alzheimer’s disease is a kind of dementia that may lead to eventual personality change, impaired thinking abilities, and memory loss. A person can live years or even decades with Alzheimer’s. Over 4 million Americans are currently diagnosed with Alzheimer’s, the most common form of dementia. If Mom has been diagnosed with early onset or early to moderate stages of dementia, including Alzheimer’s, you may worry about her safety and capabilities at home. If she insists on staying at home, what do you do? If a loved one has been diagnosed with Alzheimer’s or other form of dementia, maintaining mobility, independence and quality of life are essential. For this reason, until and unless a home-based scenario becomes unsafe for mom and dad, seniors are encouraged to stay in their home environment as long as possible. This helps to reduce stress and anxiety which may exacerbate symptoms of dementia. Home health care agencies such as OptimumCare Home Care Services are experienced in helping those with varying levels of dementia. Some of the most common care services provided include bathing, dressing and grooming, toileting, and meal preparation and oversight. Experienced caregivers know how to maintain a calm, unhurried, and gentle demeanor when dealing with someone with Alzheimer’s or dementia. It’s important to encourage your loved one to do as much as possible on their own without your help, encouraging your loved one through a series of step-by-step instructions. How to approach the care recipient to avoid startling. Dealing with dementia is not easy, and can be mentally and emotionally challenging for family caregivers. For this reason, home-based healthcare is strongly urged and recommended in home care scenarios so that mom or dad stays not only safe, but independent and mobile as possible.